The 129/180 change is idiotic - it halves the number of buses per hour between Greenwich and Woolwich town centres from 12 (177/180) to six (177 alone) per hour. That link needs more capacity, not less. Lewisham is a major interchange point for buses to Brockley, Bromley, Catford, Forest Hill etc - so to say passengers can use the hopper fare to change between 180 and 129 (in a retail park that will suffer awful congestion once Ikea opens) is daft. 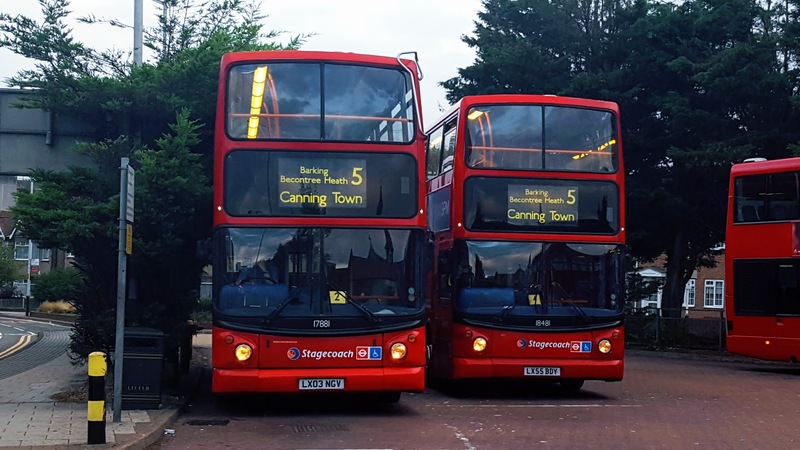 The 180 diversion to North Greenwich also takes the wrong route by following the 161 - Woolwich Road is often clogged with traffic, so the 472 (and 486 in Charlton) via Bugsbys Way will remain the preferred route for many to North Greenwich, yet that will now run fewer buses in the peaks. It also means they've missed the opportunity to serve the expanding retail park empire on Bugsbys Way. I'm going to have to read the technical notes, but this is bad news. All these changes around Custom House are a joke it's not like Crossrail is going to replace these lost links. The changes in Newham will be the biggest since 1993. Yep, you said it all already! The only redeeming feature of the 180 routing is that it will stop close to the South side of Charlton Retail Park which is a little more convenient than making people trek across Bugsby Way for a 180 back into Woolwich and beyond. But yeah, the 177 will be rammed, especially at night and weekends. I'm disappointed that there are no frequency increases on the 177 or even a diversion of the 161 so it terminates at Cutty Sark. The 178, 244 and 291 get deckers which isn't a bad thing. Probably the only redeeming feature of these changes. I wouldn't say idiotic. The 129 will bring a second service into Lewisham serving North Greenwich which is needed. I do agree with diverting the 161 to Cutty Sark as the 177 will get slaughtered. The 180 Erith to North Greenwich has come 18 years to late as demand from Erith to the Jubilee line is slightly less needed with 2 Crossrail Stations on the route. Back in 1999 I'm sure a link from Erith to the tube would have been appreciated. The 301 says high capacity single dockers. If that for a reason of an obstruction or simply a feeling that very few people with travel far and SDs would be better suited. Having just reviewed the jaw dropping changes proposed in West London (I nearly fell out of my tube seat when I saw the 112 extension), it's clear that Bexley and Greenwich have been "done over" and not really lobbied TfL hard enough for what pennies they have to spend on these revisions. There is zero in that document that will encourage passengers along Wickham Lane and the eastern end of Plumstead High Street to make the shorter journey to Abbey Wood. Instead this just herds everyone into Woolwich for a bun fight with the thousands of new Woolwich residents that will be moving there in the next few years. Greenwich wanted improved cross-borough links between Eltham and the rest of the borough. Well what happened there? Thamesmead, Abbey Wood, Plumstead, Shooters Hill and Eltham anyone? Of course this type of journey won't show up on oyster data as most sane people will just drive or get an uber for this type of link. There are no improved links from Welling either. Whilst West London gets a decker between Heathrow & Ruislip via Long Lane and we get the 301. I will need time to consider my response (which will include letters to my council and local MP), but in short the connectivity into Abbey Wood and Greenwich Town Centre is concerning. * The 180 extension to Erith is welcome, but does West Street really need three bus routes serving it? * I like and approve of the 301, and the reduction on the B11 is probably acceptable. * I expect the 177 to be hammered. Sending the 161 to Greenwich would have been better. * A second service from North Greenwich to Lewisham in the form of the 129 is going to be popular, and may relieve a little pressure from the 108. * The double decking of 178, 244 and 291 is welcome. I bet the 301 will follow suit in the future! In regards to West Street yes. 229 towards Queen Marys are pretty much full up already and people can get left behind. I think the 301 has been underestimated a bit like the 132 extension from Eltham Station to North Greenwich. Double Deckers will be needed can see people getting left behind. What happens when the trains are down. The 301 will be rammed! I agree, I think TfL have underestimated how popular this will be. It will shorten journey times between Thamesmead and Bexleyheath significantly. I note that the map of current SE London bus routes linked to is of course the out of date March 2016 map. ]The 301 says high capacity single dockers. If that for a reason of an obstruction or simply a feeling that very few people with travel far and SDs would be better suited. Re. 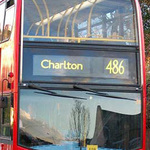 West Street : the 180 is going to be an extra double deck route more frequent than the 469. I think an opportunity has been lost to do something more imaginative with the east end of the 469. I believe 180 and 229 will suffice down West Street.